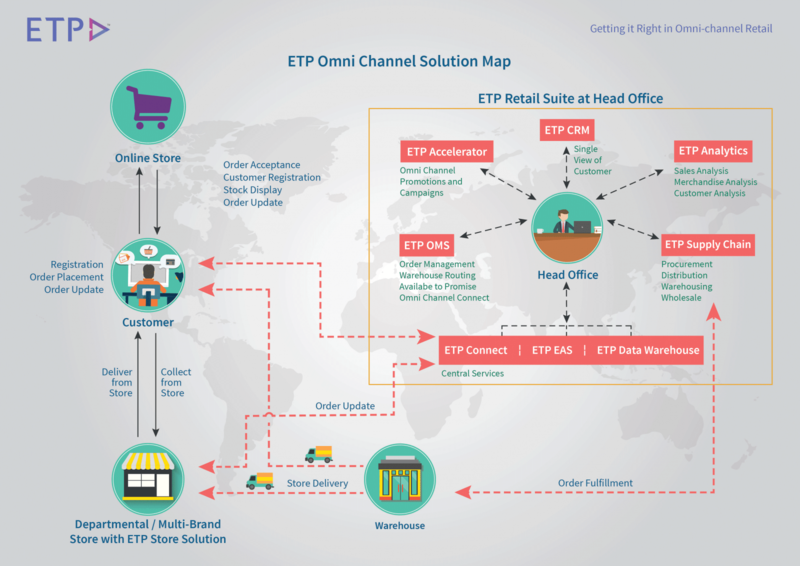 The ETP Omni-channel Store Solution provides seamless integration across all customer touch points. 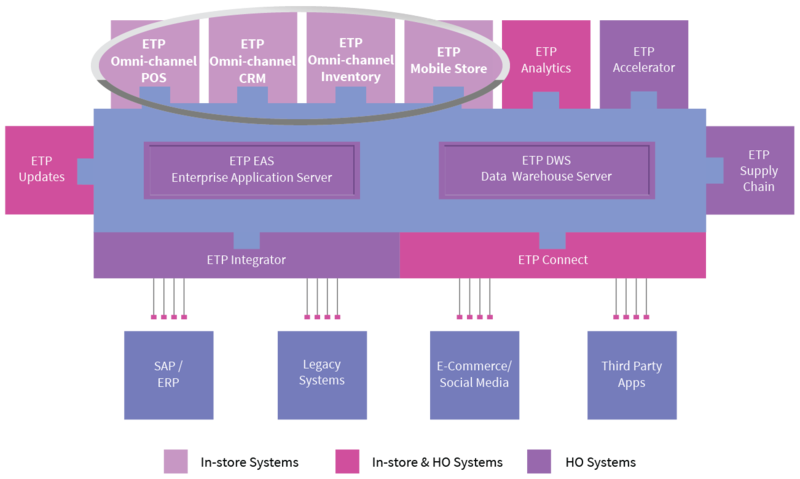 It enables brands to interface with personalized physical and digital retail channels that help to engage better with and create extraordinary value for both the retailer and the end consumers. 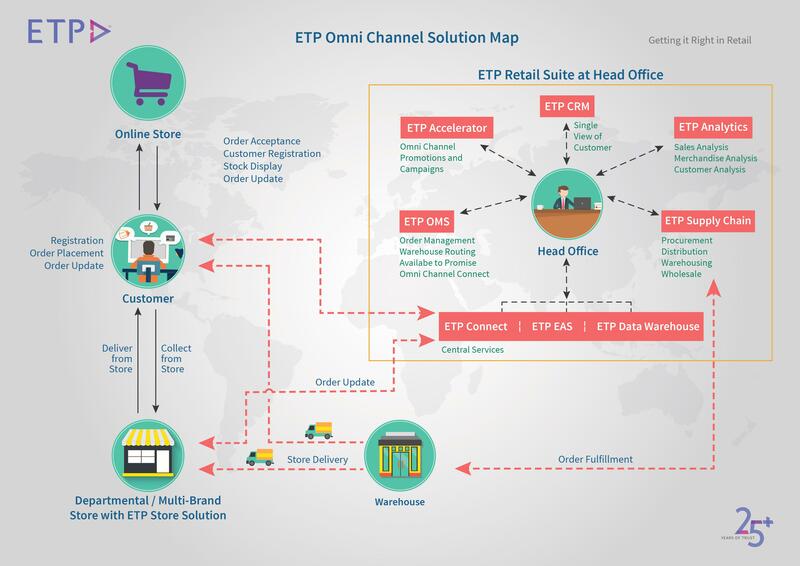 ETP Omni-channel Store Solution enables true integration between the business back-end operations, supply and demand channels. This ensures the customer can peruse, pick, purchase, like, promote, review, search, seek information and provide feedback from anywhere at any time.